Fake News Kingpin Mike Cernovich: The Nazi Rally Was A Federal Trap And Those Involved Are "Screwed" - Joe.My.God. 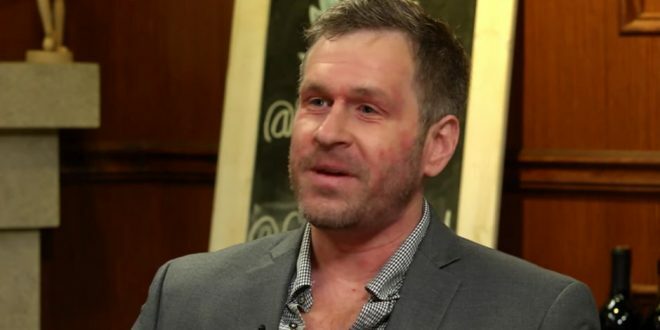 Right wing troll and fake news promoter Mike Cernovich, who first gained fame for his claims about the power of his “super sperm,” declares today that the Charlottesville rally was a “federal trap” that the Nazis stupidly walked right into with torches illuminating their faces. 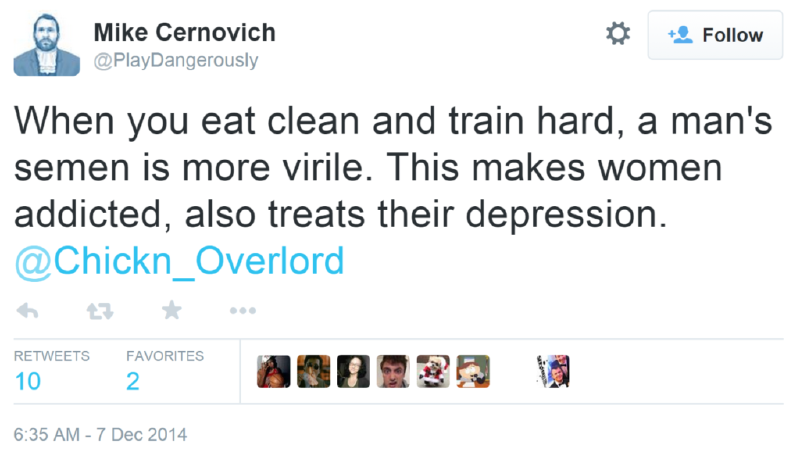 Cernovich continued his effort to distance himself from his Alt-Right history by warning his younger audience members to stay away from groups that openly identify as part of the Alt-Right because it will “ruin your lives” and “you’re not even going to be able to get laid.” “Me, fortunately, I’ve been very successful in life and because of that I can afford the drama,” Cernovich said.